lucky i still can feel PAIN! so is this mean im still okay? lol. Noooooo I am too late! okie.. i know Eric used to has sinusitis. but now no more. lol. I think I've got sinusitis! How to cure?? :P I don't want drugs! Ulceration? That's one scary term. As for me, I abhor pain. I hate pain. But I try, as long as could take it, not to take any pain reliever whenever I feel a headache or some bodyache. it is always nice to know things like this. very informative indeed. O_O so u mean its better without taking pain medicine? Continuously abuse? Hmm...yeah. We are the one who is causing ourselves all this cancer thingy right! :( But then again...sometimes it is not about food. So what you are trying to say is that our body actually gives us the opportunity to repent and lead a healthy lifestyle again before everything becomes irreversible right? Ouh...so when inflammation happens...it means the alarm has been raised? I agreed bro. if not for pain we wouldn't know what is going on with us until it is too late right? :( having said that, symptoms are equally important to warn us of our health status. Ouh....when inflammation occurs, it means all the toxins are congregating in a particular organ....wow...sounds dangerous ler. Hey can give some examples how you detox your body? Very informative. I know many people quickly pop a painkiller whenever they get a headache or experience any discomfort which is not necessarily a wise thing to do. 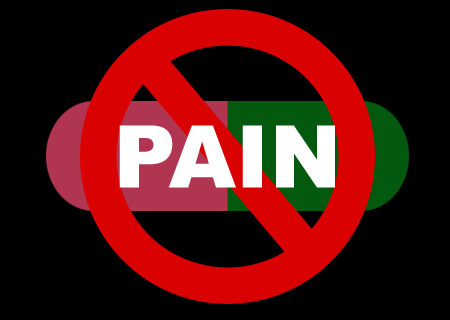 If the pain is manageable, we should let our body get rid of the toxins and repair itself rather than putting in more chemicals from the painkiller pills. Painkiller is like stimulus plan during recession. It doesn't solve the problem, but does buy us time. So I wouldn't say it is useless. Very educational as always, almost forgot about this series, as the last post on this was done some time back by you. Looking forward to know about Ulceration. On a side note, at the end of your series, you should SERIOUSLY combine all these parts to become an e-book or something, and sell it online. If you are lazy, drop me an email and I'll do the dirty work for ya at a profit sharing thingy, serious. I don't rush into medicines right away when I feel pain. This is another good part of your diseases chapters foong. may I ask, r u working in the medicine industry~~? the step five is something interesting..
i'm getting a migraine. too complicated for me to understand. LOL! This blog post is good and interesting! I am still a volunteer at Hospice Malaysia and deal with all Stage 4 Cancer patients who are terminally ill. So painful to see them in great pain! I kena appendicitis over 10 years ago and my intestine exploaded! I was rushed to SJMC for emergency operation. Almost mati lah!! Thanks for this post. Not only this one but for all the posts on this topic. We all must definitely prevent the occurrence of any type of disease rather than fighting it. Prevention is better than cure.